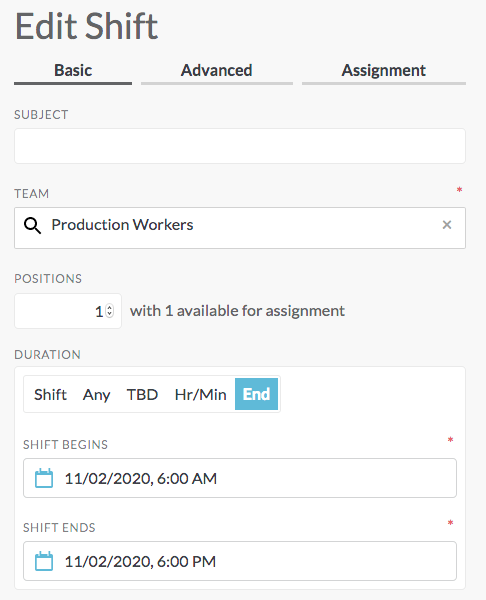 After a shift has been created, you may want to change the shift details, such as the start or end time, who it is assigned to, or the number of positions (i.e. you may need 3 people instead of 2 for a particular position, workgroup, or role). 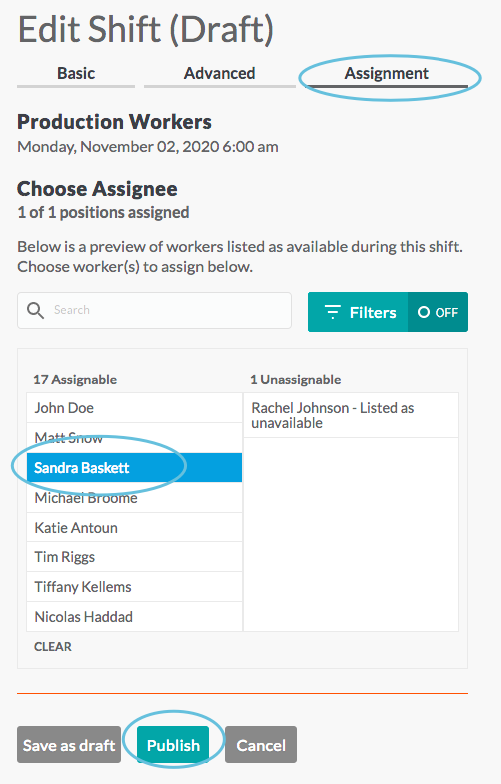 This article explains how to edit a single shift and how to use filters to refine the list of people that show up as available to be assigned to specific shifts. If you need to make the same change to multiple shifts, see Bulk Update. 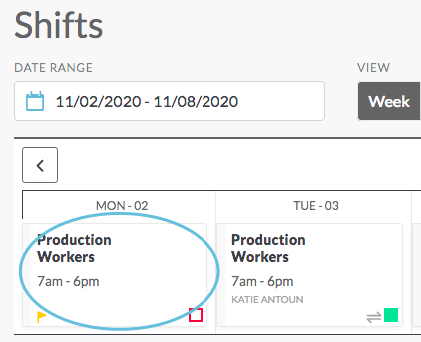 Once a shift is on the calendar (see Add Shifts), it is easy to edit the shift. 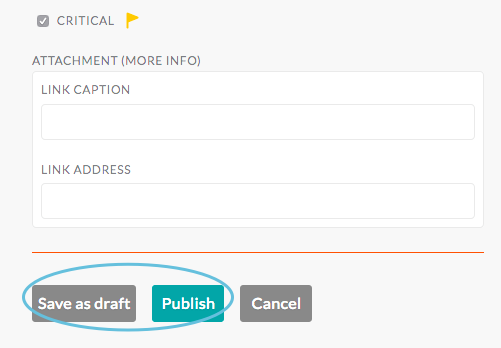 From the edit screen, make changes, then click Publish or Save as Draft at the bottom of the screen. 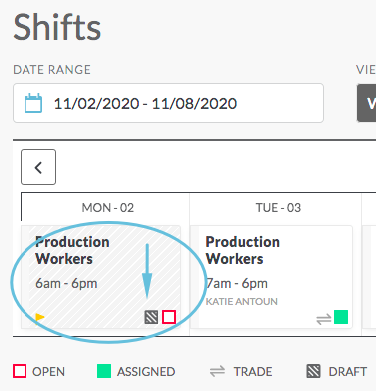 For more information on shift status icons, see Viewing the Calendar. 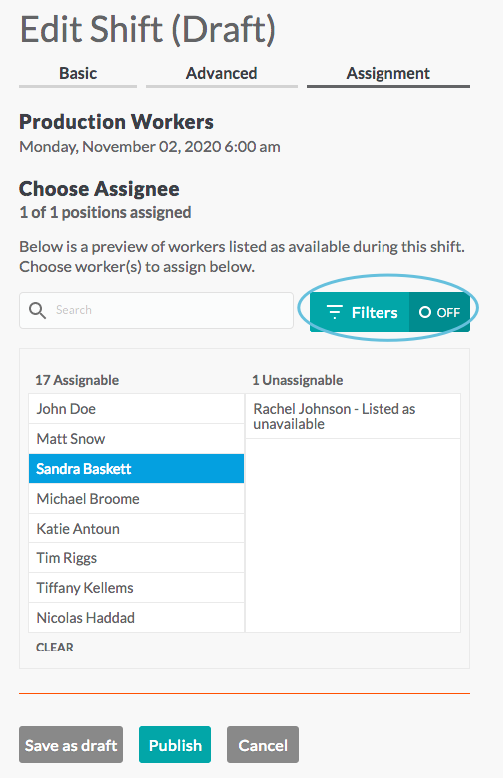 When assigning shifts, use the Filter to change the list of assignable people. 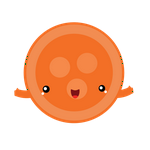 You can filter by permission level, change the profile, override conflict checking, and more. Include up to—By selecting from the drop-down options, you can choose which permission levels to include (Member, Coordinator, Manager, and Site Admin) in your assignment selections. Ignore overtime—There are instances where you may need to allow overtime for an employee. By checking Ignore Overtime, you can override the default setting. 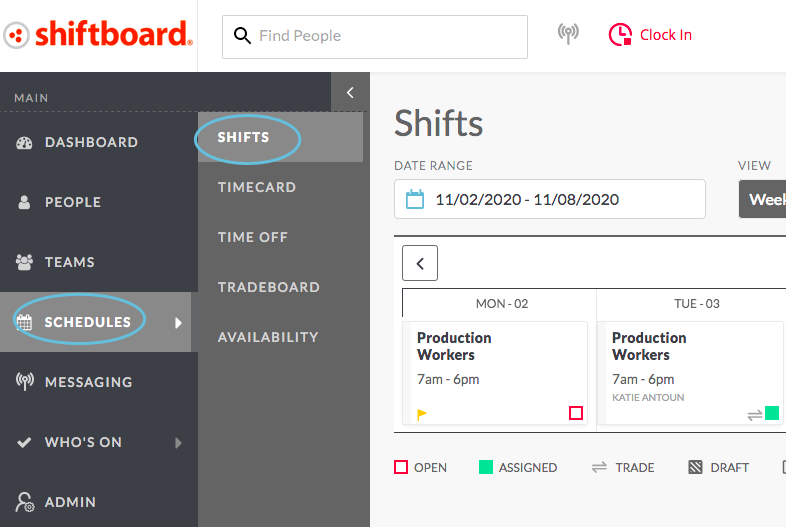 If the site setting assumes everyone is busy, then individuals can set times that they are available. Important: In this case, people must proactively enter the times they are available, otherwise, they will not show up in the Assignable list.When enabled, the Honor Availability filter checks this information, and includes only people who are available in the Assignable list. 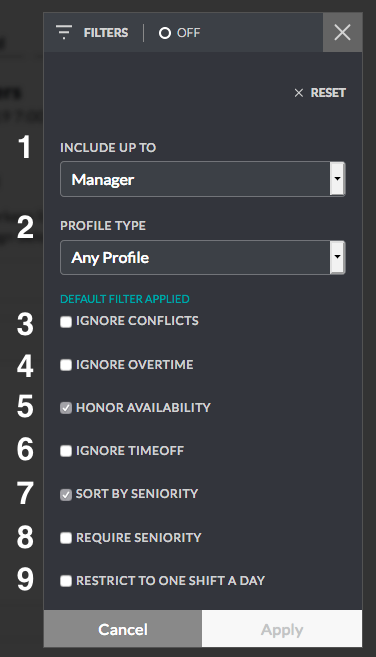 Require seniority—When this filter is enabled, only people who have a start date associated with their account will show up in the assignable list. This setting allows managers to assign shifts to people with higher seniority. 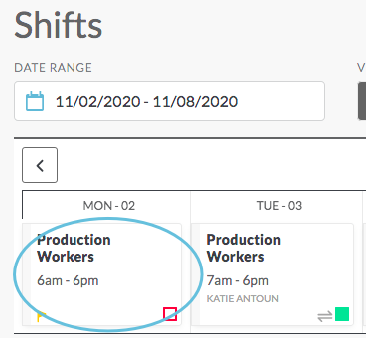 Restrict to one shift per day—Selecting this option will limit the availability list to people who are not already working shifts that start on this day.